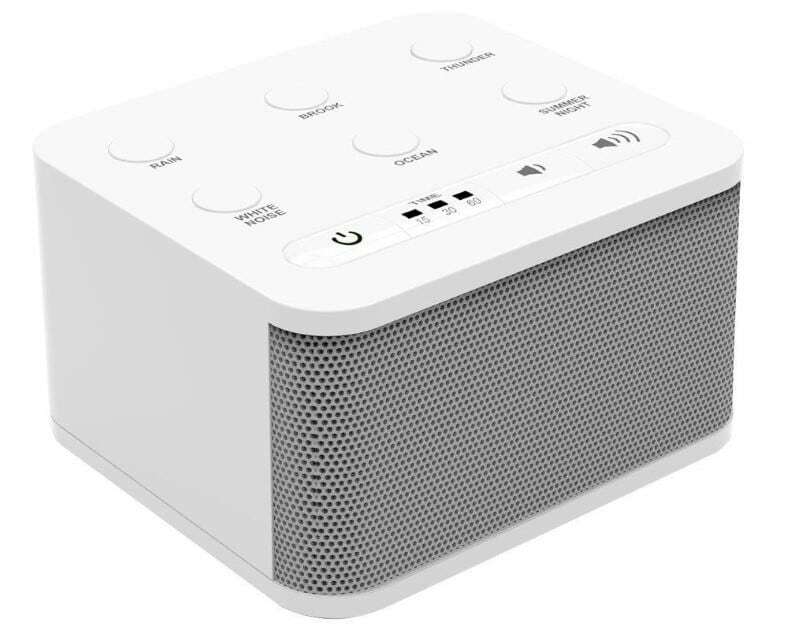 The Best White Noise Machines For Office And Cubicle Privacy - 5 Great Choices Worth Every Penny! 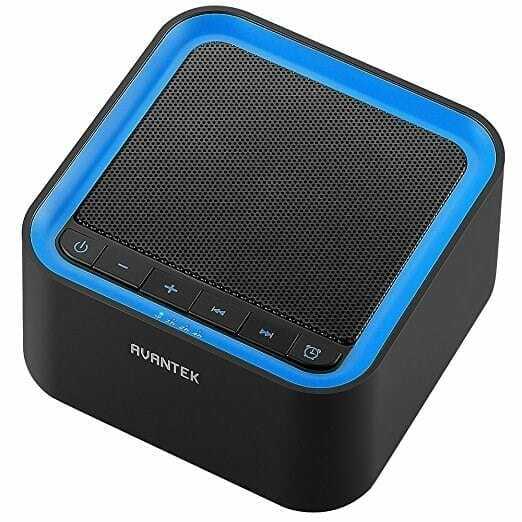 Home » Buyers guide » The Best White Noise Machines For Office And Cubicle Privacy – 5 Great Choices Worth Every Penny! 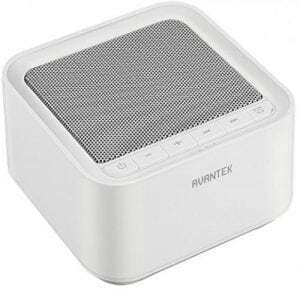 The Best White Noise Machines For Office And Cubicle Privacy – 5 Great Choices Worth Every Penny! Need something to make sure your coworkers, employees, and maybe even your boss can’t hear your private chats? I know exactly how that feels! I get stressed out wondering if my coworkers can hear my personal phone calls and conversations. I use background noise when I’m at the office to help me focus, lower stress, block out people talking, and a lot more. However, it makes a huge difference which white noise machine you pick. 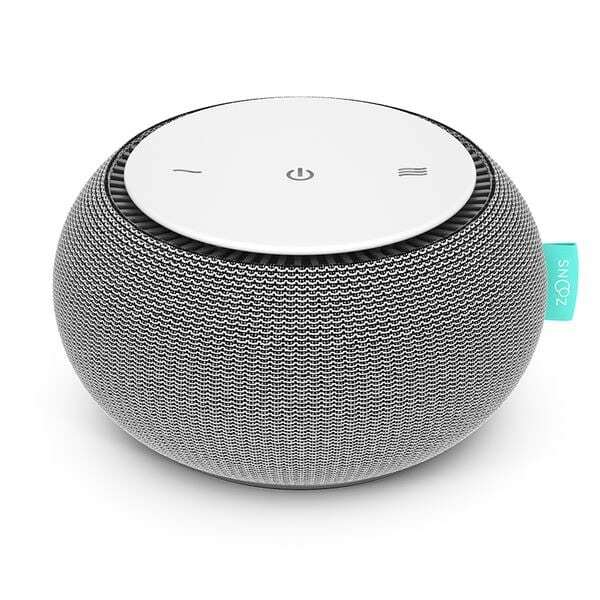 Here you’ll find a list of 5 of 2019’s best white noise machines for office and cubicle privacy. I’d love to help you get the best for your money as well as learn how they work, too. 1. What is “white noise”? 4. How many white noise machines should I get? A graph showing the range of sound that makes up what we call “white noise.” Basically it’s a way of describing a range of sounds of nearly equal volume that cover a large range your ears can hear. It’s also used in other areas of science, although for most people it’s simply a large combination of sound frequencies that can block out unwanted noise. White noise has some wonderful uses but it’s sometimes confused or misunderstood. 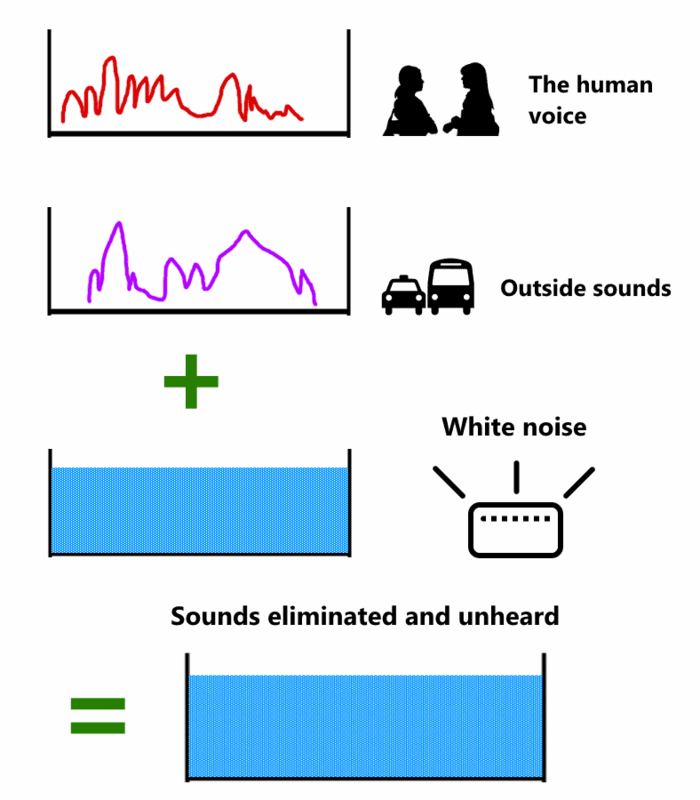 Basically, white noise is the production of audio frequencies over the entire range of human hearing. Because of this, it’s capable of covering up sounds that would distract you or cause problems at work otherwise. Noises you may hear everyday like coworkers talking, outdoor sounds, music, and more are produced in a limited range of audio frequencies. White noise, however, is produced over the entire range of audio you ears and brain can interpret. It has many uses, and they’re especially important for areas where privacy and focus is needed. A great example is client meetings where a company speaks privately in a quiet room with professionals about sensitive personal matters or confidential information. 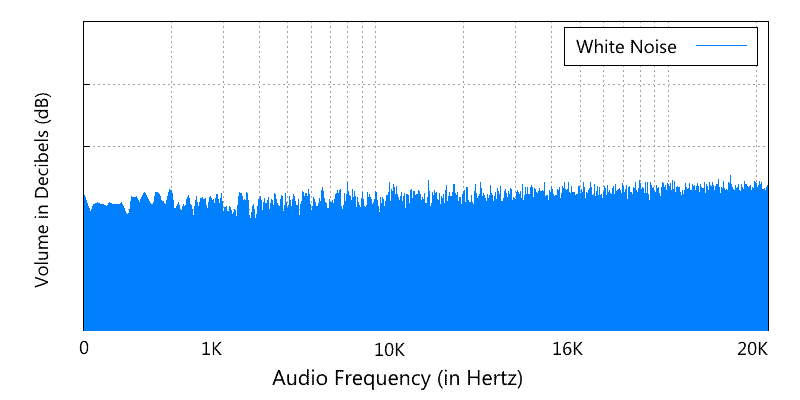 Note: The term “white noise” is sometimes confused with and used interchangeably with brown noise or pink noise, which aren’t the same. These other color names are used to described sound patterns of different types. For the purposes of this post, although many noise machines produce brown noise (or other sounds), I’ll refer to it as white noise as is commonly done. Don’t resort to extremes to get privacy! White noise machines are a non-intrusive way to protect your personal and business related conversations. Like many people out there, I’m easily distracted while at work and find the gentle, constant sounds of a fan or other noise source to be helpful. It’s a bit difficult to concentrate when there are coworkers around you making sounds from talking, eating, coughing, and many other annoying sounds. Believe me, I’ve definitely been very bothered by these in the past, so I know exactly how it feels! Because of this, I’ve learned exactly how beneficial white noise machines are and I use them regularly. They’re also excellent for use at home or while traveling on the job as well. Many are small enough to be easily packed in a backpack or travel bag. Because of how the human brain works, outside sounds naturally cause us to divert our attention away from what we’re doing. While that’s great when your outdoors or doing different activities, when you’re working it can be a real nuisance as you’ll lose productivity and feel more and more stress. 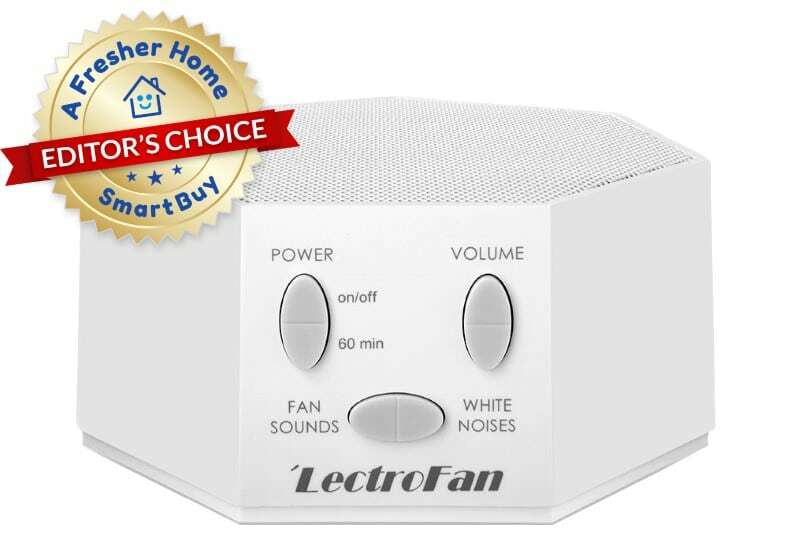 While many people often use small fans for the same purpose, white noise machines are better as they’re able to provide a wider variety of sounds to help you relax. Most are very energy-efficient, too. Sounds machines produce a white noise of different types, depending on the product, that cover a tremendous range in the audio spectrum. These means that they sound they produce can cover up (and effectively block) distracting sounds. When the nearby sound at your workplace or cubicle is equal to or less than the volume blocked by the white noise you’ll no longer notice it. It’s a great way to solve the aggravating problem of distractions. 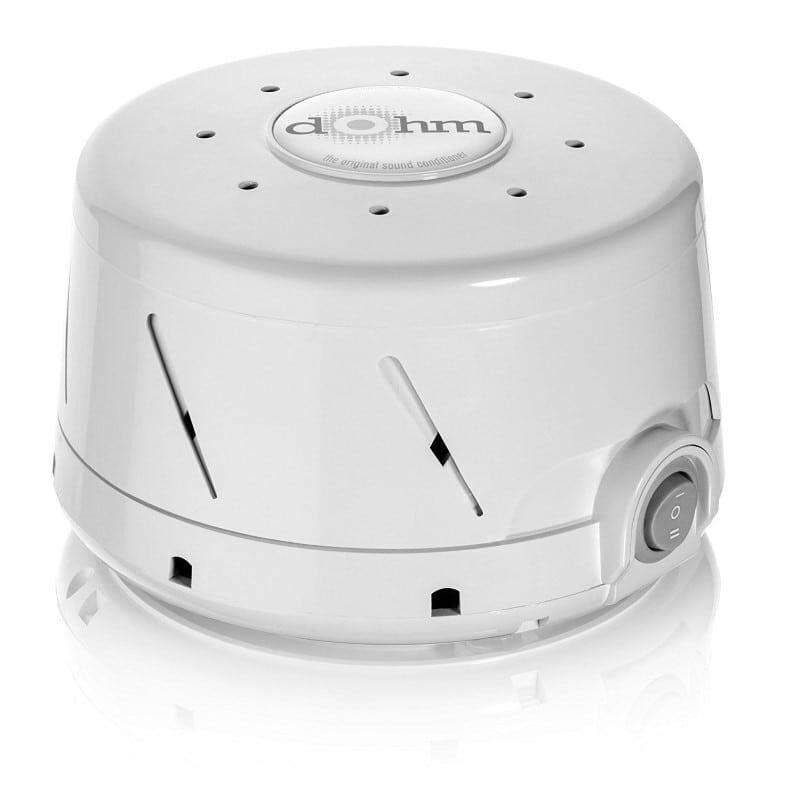 White noise machines work by creating sound patterns that mask, or cover up, unwanted noise. This effectively means you’ll never hear them and it’s as if they’re eliminated. As long as the noise in question (for example, a machine nearby or coworkers talking) has a volume level that’s about the same or less than the volume of the white noise the sound will be effectively eliminated. This works because our brains can’t tell a widely mixed range of sounds apart – there’s just too much audio information to process. Instead, the distracting noises around you at work will no longer be noticed by your brain and you won’t be distracted by them. This process is called masking and is the same principle used for noise-cancelling headphones and some other products. For example, if you’ve got a TV, radio, and a fan on all at the same time can you tell the sounds apart? No, and that’s the basic principle behind how they work. In a workplace it can be especially difficult to block sound without disturbing others. While using an electric fan is one option, they can be cumbersome and don’t always work well in all environments or situations. Years ago electromechanical designs were the most common type sold. Thanks to today’s technology they’re more rare. Most consist of a type of compact fan assembly and an electric motor. When the fan spins rapidly the device generates a type of white noise due to specially designed air passageways. Some also allow adjustment of the sound tone and/or volume. Electronic (also called solid-state) models use integrated circuit components to generate a pre-determined noise pattern. The sound generator circuit board drives a speaker and produces sound as well as allows an adjustable volume level. These types typically also offer a number of selectable sound types like nature sounds, fan sounds, or other audio choices depending on your preferences. Both types have their advantages and disadvantages. While electromechanical types are very simple to use they need more electricity than electronic models. They also don’t offer the sound options other types do. Electronic sound machines are a bit more complicated to use (but still user-friendly) and use an artificially generated noise pattern scheme. While for some people this is perfectly fine, some prefer the “whoosh” sound of the fan in an electromechanical model. Additionally, in some cases electronic-based white nose machines don’t provide the bass-blocking ability of electromechanical models. It’s very important to pick well-designed unit, as the human voice contains bass frequencies and can be one of the most annoying (and distracting) sound types at work. It’s important to pick well-designed and proven models. How many white noise machines should I get? 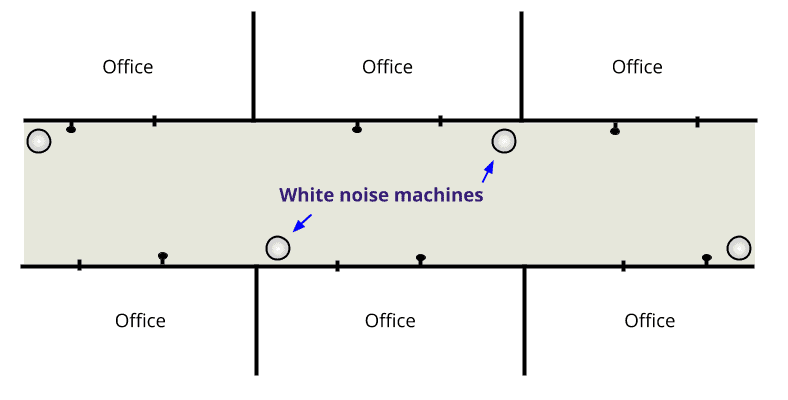 When blocking sound in an entire work area, one approach I’ve seen used is to “stagger” white noise machines in the hallway outside as shown above. In that case you’ll need 2 machines for every 3 offices/cubicles or so. 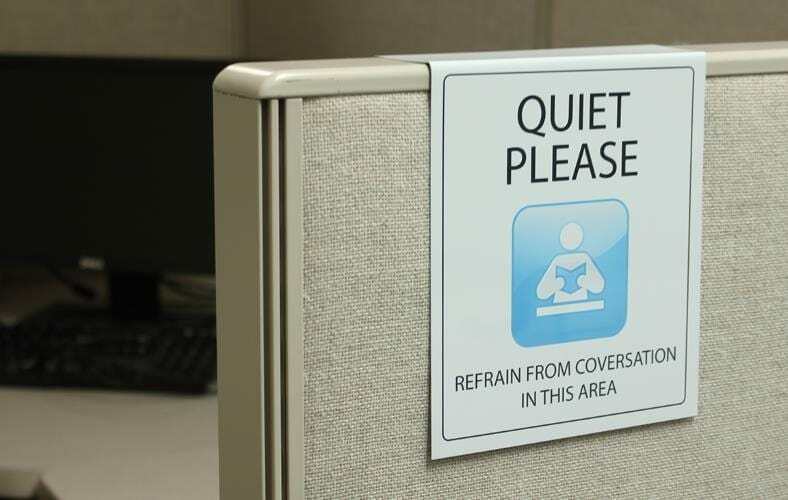 Otherwise, just plan on getting 1 for each individual office or cubicle as needed. The number of white noise machines you’ll need depends on your sound levels at work and your work situation. Marpac, a manufacturer of some of the most popular models, recommends one machine for every 300 square feet of room size (roughly a 10 x 30 foot office). However, if you’re need much larger coverage and sound blocking ability, a great idea is to place them in the central hallway or walking area between offices. I’ve seen them used effectively in offices placed in the floor in a staggered fashion rather than in the offices. For that, expect to use about 2 for every 3 office doors, placed alternately on each opposing side. See the image above for an illustration. For work rooms or offices where less are needed, about 2 should work well unless the bothersome sounds are much worse. 7 timer settings great for sleep or naps! 1. Adaptive Sound Technologies LectroFan – Feature-packed and a great all-around value. Looking for a great buy? The LectroFan from Adaptive Sound Technologies has a wide range of features thanks to its smart design and great acoustical sound technology. It’s a great value, too! 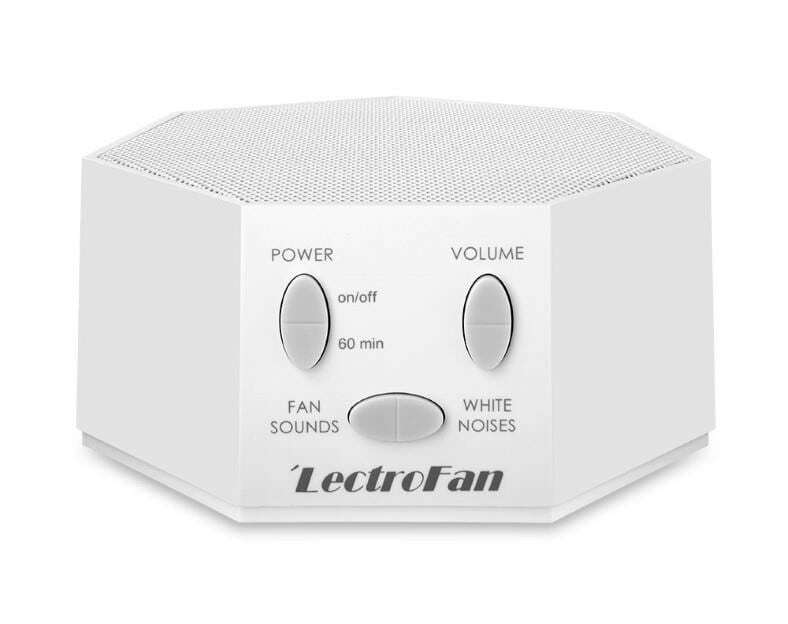 The Lectrofan uses modern solid-state electronics along with a responsive central speaker to produce effective, soothing white noise that’s great for an office. It’s also one of the best-rated and best-selling models today! What I really love about the LectroFan are the fan sounds it produces. Instead of producing only one like many competitors, it provides several: box fan, oscillating fan, and a low-tone, mellow-sounding fan. Ambient noise variations such as “coral”, “tan”, and “pure white” are unique sounds that let you pick from a cool variety to help you relax or get work done undistracted. Don’t worry – no costly batteries are needed! You can power it right from a USB port or 120V power outlet. A UK/European Union voltage model is available as well. Don’t care for the white model? The LectroFan is available in a nice-looking black version as well. There’s a 60 minute auto-off timer provided to make operation hassle-free. A push-button control allows fine-tuned raising and lowering of the volume anytime you like. As there aren’t any moving parts to fail, you’ll get years of trouble-free enjoyment out of it. Sound quality is good as the high-fidelity speaker design provides some of the best you’ll get in this price range. It’s a great performer and great all-around value. I like it enough to give it my Editor’s Choice recommendation and I’m confident you’ll love it to. Have a look now! Find out why it's one of the best-reviewed and best-selling units at Amazon. With the classic design you’ll get traditional design elements the simple-to-use and reliable electromechanical setup provides. It uses a motor and fan-based generator to produce natural, real white noise. 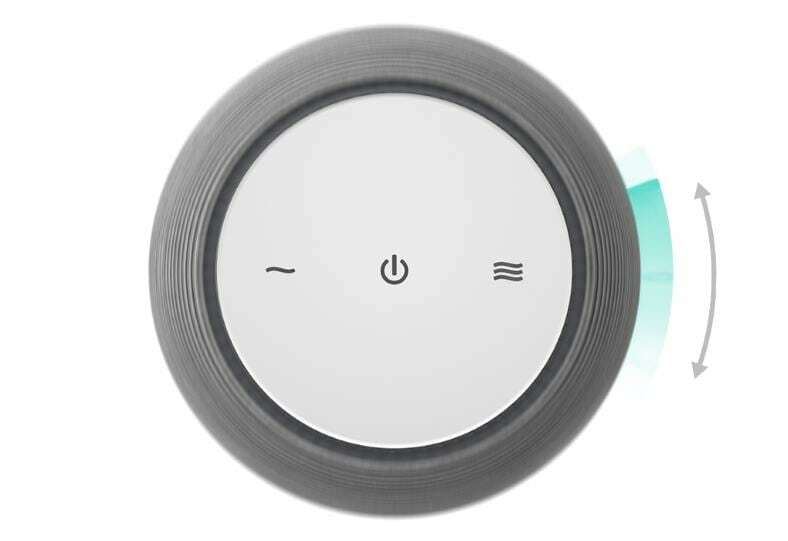 There’s a simple on-off switch with 2 volume positions – no complicated controls to fuss with! Put the switch into one of two positions and enjoy a relaxing and distraction-free work or office environment. Featuring a basic yet elegant design the Dohm classic is a great-looking model. You can also pick from black and tan color options too. Want a different sound tone? Just rotate the outside shell that allows you to change the white noise sound as you do. Rotating the cover adjust air flow vents to control the pitch of the white noise as it runs. It’s a great little unit and I enjoyed owning and testing. I do have one minor complaint however: there’s no option to power it from a USB port. You’ll need to use a 120V outlet for it. Hands-down it’s one of the most popular and easiest-to-use white noise machines out there, and I highly recommend it. Especially for people who just want a simple, basic, and good sound machine. Be sure to see the many great buyer reviews over Amazon today. 3. Snooz White Noise Sound Machine – A stylish compromise of features plus classic technology…the best of both worlds! Ready for one of the best? 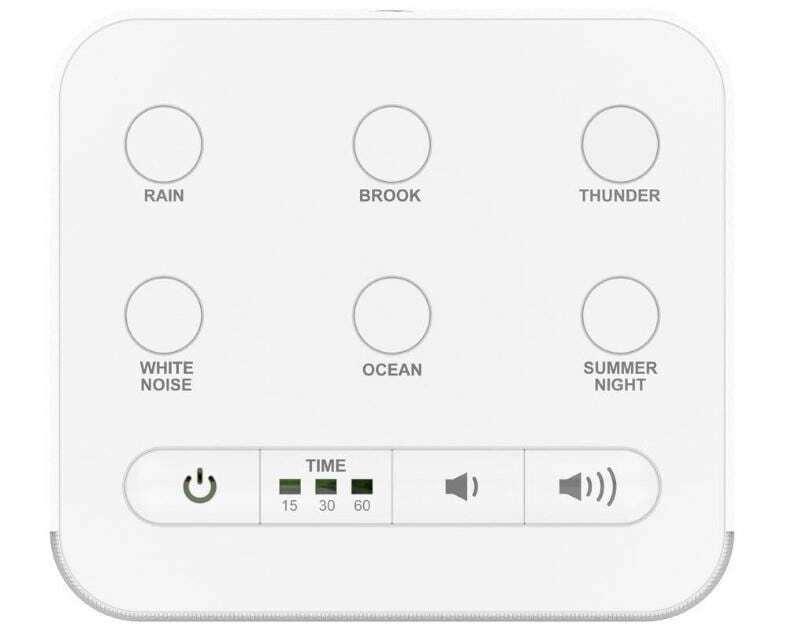 The Snooz white noise machine is a more advanced white noise machine that marries classic sound generation with today’s convenience features. 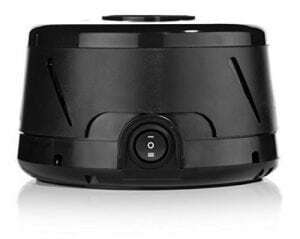 It uses a brushless electric motor driving a computer-designed internal fan to deliver great white noise and help you work better and enjoy your day without distractions. Select from 10 great volume settings. Similar to the Marpc Dohm product, it’s easy to customize the type of sound your Snooz makes by simply twisting the outside body. The Snooz’s sound production is easily adjustable. Want a different white noise sound tone? Just twist the outside housing and listen as the pitch and noise type changes. Touch controls are provided and are clearly marked, making operation a snap. It’s one of the best for adequate volume sold today! You’ll get from a low 46dB to a high 87dB of volume – all your choice using the 10-step volume feature. Sound quality is great and it’s one of the best I’ve found for masking noises at the office or workplace like coworkers speaking, printers, and much, much more. I like both the sound and how it helps me focus. Advanced control & features are included! 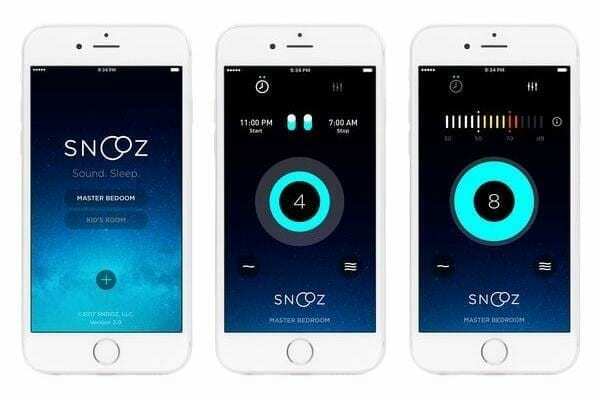 You can control one – or more – Snooz noise machines from the convenience of your smart phone. A free app interface allows you to control all your white noise machines either at work or at home. Easily adjust volume, on & off times, or more anytime you like. While the features and performance I mentioned alone are great, there’s even more! A Bluetooth feature allows easy control of all major functions from your Android or iPhone device using the free app. An amazing auto on-off scheduler allows hands-free automatic operation everyday so you won’t even have to turn it on or off yourself. To add even more convenience, you can control multiple units from one phone. It’s a great little unit and it’s available it two classy, style-friendly color choices too. Overall while it’s more expensive than other models, I think it’s one of the best today and definitely an excellent choice. Is it the cheapest? Certainly not. However, it’s simply one of the best-sounding, best-performing noise machines you can get today. The smart phone control features clearly set it apart from the pack, and I love it. It’s a winner, as you can clearly see from the excellent buyer reviews and great feedback at Amazon. Need something affordable but that’s still a great value? The Avantek White Noise Basic is a smart choice for your money. I’ve found it to be a great compromise between sound production, quality, features, and convenience. For below $50 it’s well worth having a look at. The volume control is also one of the best available, providing 30 increments to perfectly set the level exactly where needed. It’s also one of the loudest, too, with up to a whopping 115dB of volume at maximum. That’s much more than nearly all the competition can provide! A great built-in memory feature means that at the next use it will restore the previous settings you used – very nice! You won’t need to fumble around with it everyday when getting your workday started. Don’t care for the black version? That’s ok! The Avantek Basic is available in a more traditional white version, too. The Basic is one of the best inexpensive white noise machines I’ve had the pleasure to use. I like the nice-looking satin black finish and blue trim on top, although I realize that’s not for everyone. The great news is that you can also choose from the white version as well so it’s not really a problem. The controls are really easy to use – move the volume up or down as well as change the current sound type by using the top-mounted buttons. What I really like about it is the familiar and intuitive design: buttons are extremely similar to those used on an MP3 player. That’s not all though – there’s also an auto-off timer which allows you to turn it on and walk away. After the selected time it will turn itself off automatically. It’s a great little model I think is a good buy. If you’re on a budget and don’t want low quality but a good performer and great value, I recommend the Avantek Basic. It’s a nice little model. Buy with confidence , as it has a close to 95% satisfaction rating over at Amazon. Tight on money, or don’t want to spend a lot for white noise in your office? Here’s a great option. The Big Red Rooster BRRC107 can definitely help you get work done better without breaking the bank. Although it may be a budget model, you’ll also get a feature I absolutely love: there’s a convenient auto-off timer with settings for 15, 30, or 60 minutes of operation before it shuts off. It’s also excellent not just for the office but for travel, too. You can use the included 120V AC power adapter for socket power or use 3 AA batteries when power is out or you’re on the go. In case the basic white noise sounds aren’t what you’re in the mood for, nature sounds like a gentle brook or rain are a great choice and work well to add a more relaxing atmosphere in your workplace or business. I have to say the controls are some of the easiest to use I’ve seen. The direct volume up and down buttons work especially well for adjusting the outside sound blockage quickly. The sound output quality isn’t a nice as more expensive competitor I’ve listed here (such as the LectroFan or the Marpac Dohm models) but it’s still good for what you pay. For all but the pickiest buyers I think it’s fine. My overall opinion? It’s a very good budget model for nearly anyone who needs white noise at work and would like extra options. It’s very affordable and I give it a thumbs up. While I would recommend spending a bit more for a better model, it’s still a great option when you can’t spend a lot. At below $25, it’s hard to beat. Find out the current super-low price at Amazon now. Hands-down, it’s tough to beat the Adaptive Sound Technologies LectroFan model. 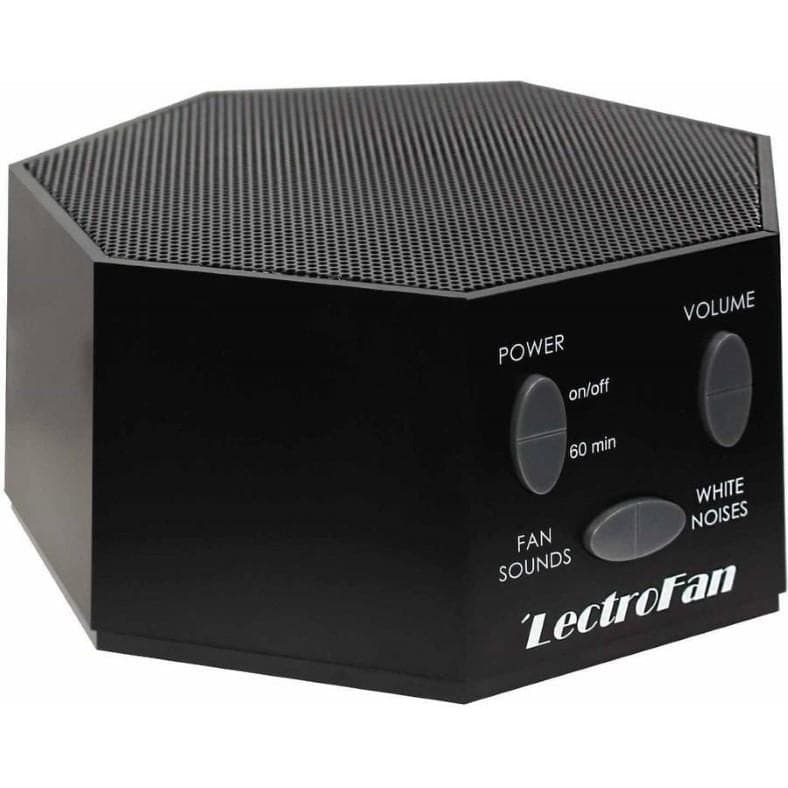 While classical motor & fan designs have a natural, distinctive sound that most electronic devices can’t match well, the LectroFan impressed me. Considering the features, sound options (not just white noise, but lots of other sounds I love!) it’s one of the best values I’ve found today. It’s also extremely popular and a best seller! I highly recommend it. Take a moment and see the outstanding reviews and learn why it's a best seller at Amazon. Don’t forget that sound machines aren’t the only option for white noise. Fans are another soothing, relaxing way to enjoy privacy in both your office, work cubicle, or at home. Check out my great list of some great fans for white noise in this post. Traveling? Consider a top-rated portable travel fan to get better rest (and relaxation) on while traveling. 5 Top Air Purifiers Under 100 Dollars - Breathe Better Affordably! The 5 Best Humidifiers For Nosebleeds – Get Relief And Stop Suffering! 5 Top Air Purifiers Under 100 Dollars – Breathe Better Affordably! The Best Affordable Toaster Ovens For College Students – Great Food On A Budget!